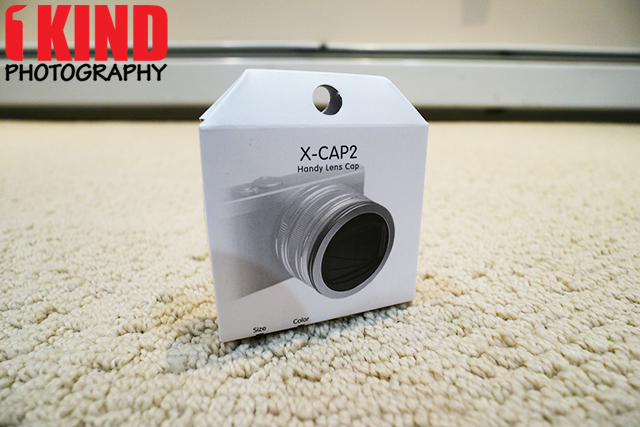 Overview : The X-CAP2 is the most functional and effective lens cap to protect important lenses. 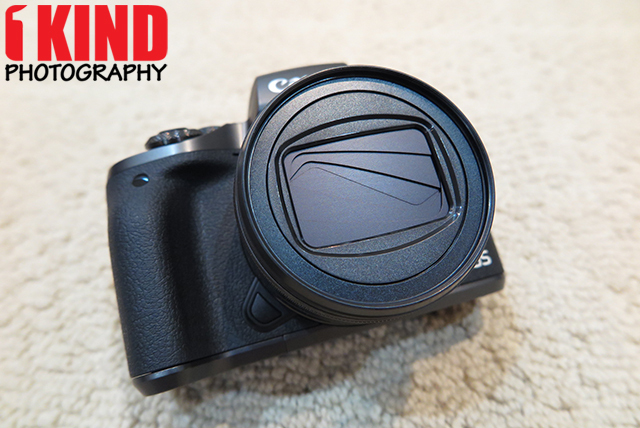 With X-CAP2, you do not need to remove the lens cap every time you shoot, nor will you lose the lens cap. INNOVATIVE DESIGN - Unique lens cap designed for compact system cameras with smart yet simple (pull and push) slide switch system that is lightweight and easy to use. GREAT USABILITY - Easy to operate: Pull to open and Push to close. Operate effortlessly on instinct. You don’t have to be troubled by a loose traditional camera cap where you must removed and safeguard all the time. EASY INSTALLATION - Super easy to install: Screw into the filter thread just like a regular UV filter. The standard filter interface fits a diverse range of lenses with the same filter thread (see compatible lens models below). PERFECT PROTECTION - Protect your lenses from damage and dust the easiest way. The compact cap Integrates with the lens both size and aesthetic wise. The cap can forever stay on the lens once installed. Never lose your lens cap again. SUPERB QUALITY - High standard of manufacturing with superior material. The cap ring and 6-piece central shutter are made of strong CNC milled aluminium alloy with sand blasting and anodizing finish. The body is PC-ABS plastic giving precise, outstanding texture. Quality/Usability : Having to take off the lens cap can be a pain especially if you don't remember where you placed it or if you lost it. The X-CAP2 looks to offer your protection but staying on your lens. 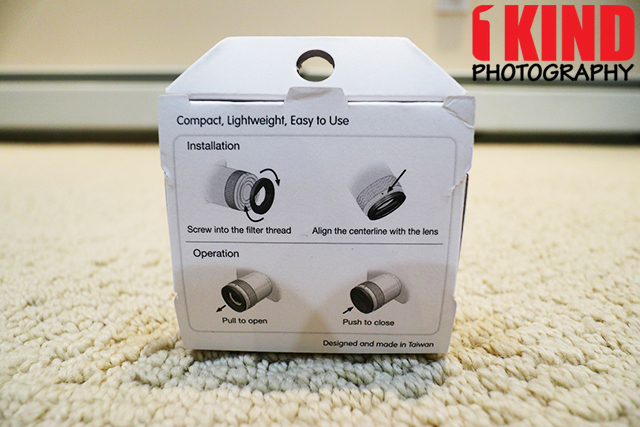 The packaging is fairly basic with the products name, filter size and color on the bottom and instructions on the back. It was a little hard trying to figure out how to open the package which caused me to rip some of the package. I had to work my way around. The X-CAP2 not made from plastic but is made from CNC milled aluminum alloy with anodizing finish. It is available in two colors: black and silver. The silver is basically black but the only part that is silver is the front element. The one I received is 43mm but is also available in multiple sizes: 37mm, 40.5mm, 46mm, 49mm and 52mm. 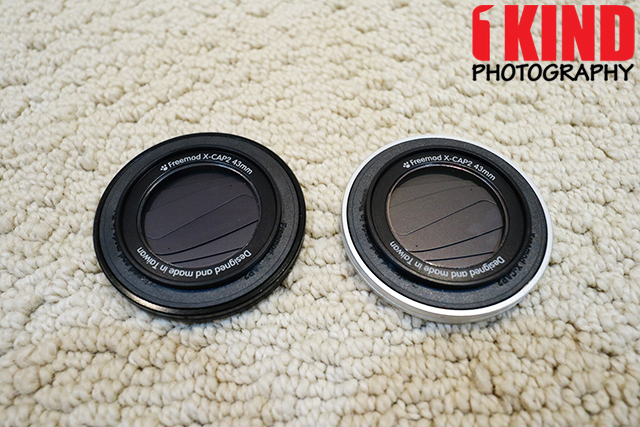 Some lenses will require a filter adapter in order to fit. 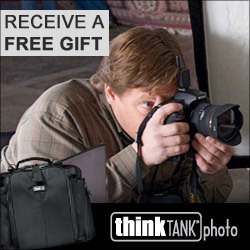 Here is a complete list of compatible lenses such as Olympus, Sony, Panasonic, Canon, Fuji, Pentax and Sigma lenses. The X-CAP2 is also available with an optional MRC-UV Protector embedded into the cap. The protector is cuts down on UV and is anti-reflection, anti-static and anti-smudge. The glass is made by STC Optical Company. It's not visible in the picture but the X-CAP2 that was sent has the MRC-UV Protector. So this has a piece of glass inside and not a hole when the shutters are open. The X-CAP2 with MRC-UV does cost more. If you already have a UV protector on your lens already, you can just purchase the standard version and place the X-CAP2 over your filter. From all the information I found online, I thought I would be receiving a 37mm X-CAP2 which would require a 43mm-37mm step down adapter. The units I received were 43mm and the manufacturer informed me that they had just finished production of the 43mm and that is why I received the 43mm instead of a 37mm with a step down adapter. However, if the 43mm is not available for purchase, just know that the alternative is to buy the 37mm X-CAP2 and the 43mm-37mm step down adapter, which is available on Amazon for about $15 including shipping. It is an all-metal design with anodized black finishing. As mentioned, there is a filter thread on the X-CAP2. That means that the cap attaches to the front of your lens like a filter would. Installation is fairly simply. Simply screw it on to the filter thread of the lens but don't tighten it too much. But in order for the dot/red line to align with the center of the lens, I had to turn it quite a bit but the X-CAP2 still operated without a problem. Once the cap is on, pull the X-CAP2 out and align the center line with the dot on the lens, if applicable. If your lens doesn't have a center marking like the EF-M 22mm, you would just have to eyeball it. To operate the X-CAP2, simply pull the cap away from the lens to open the shutter and push towards the lens to close the shutter. The previous generation of the X-CAP was an auto-cap. In other words, the shutter will open automatically when the camera is turned on. I would have like this better because it makes it look like it was meant to be on the lens. However, there is more moving parts and has a potential of being damaged. But from what I read online, it was discontinued because of vignetting issues with some lenses. 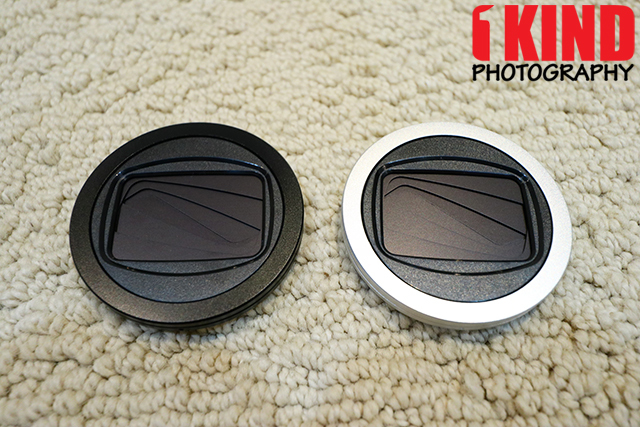 That's not to say that the X-CAP2 will not have vignetting but it may also depend on the lens you install it on. I don't have a lens hood for the EF-M 22mm but if you have your lens hood on, it may be in your way from grabbing the X-CAP2 and being able to pull it out to open the shutters. The X-CAP2 does act as a mini lens hood though. The ring you see above is a extension filter adapter that is currently a prototype. With the X-CAP2 now occupying the filter thread of the lens, the front of the X-CAP2 doesn't have a filter thread. This fits right over the X-CAP2 which allows you to install a filter such as a ND or CPL (Polarizer) filter. 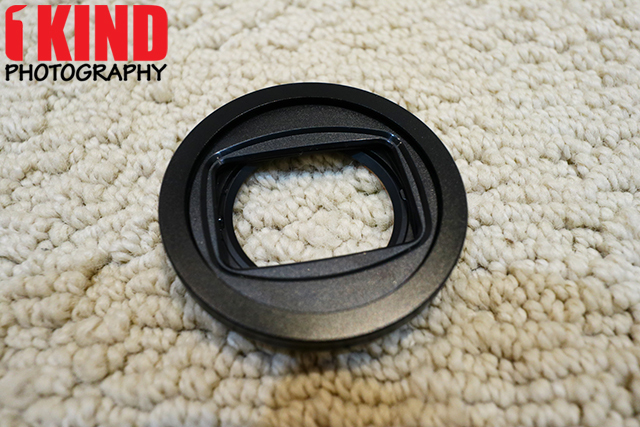 Conclusion : Overall, the Freemod X-CAP2 Camera Lens Cap is sturdy well made lens cap. 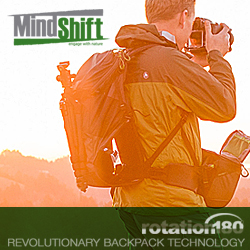 It definitely replaces the standard lens cap and prevents it from being lost or misplaced. 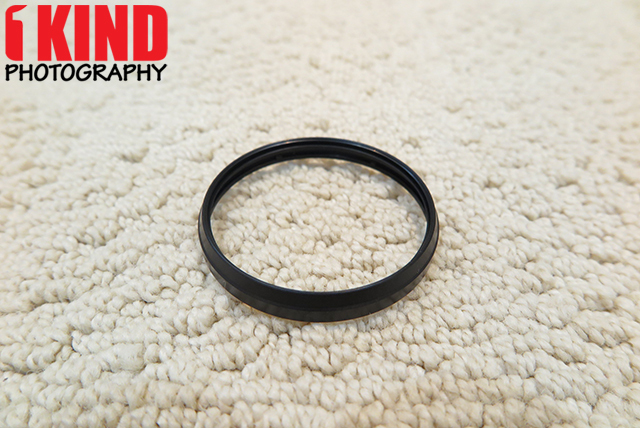 The lens cap is thin and compact so it does not take up a lot of space and blends in very well. The easy of use is very simple with a push and pull of the cap. This open and closes the shutters. The price will deter some people who are interested when they can use the standard plastic lens cap and possibly buy replacements. But this has a nice cool factor. I know the extension filter adapter is currently a prototype and Freemod is evaluating the need for it. I personally think they should offer it for sale. Some people do use ND and/or CPL filters so this will be an easy way for them to install it rather than taking the X-CAP2 off and on just to install the filter.